Explore remote mountain tracks on this first-rate four day break. We all look forward to welcoming you on The Guided Welsh Prince Trail. Arrive Freerein HQ for 9am to meet fellow riders, your guide and horses. 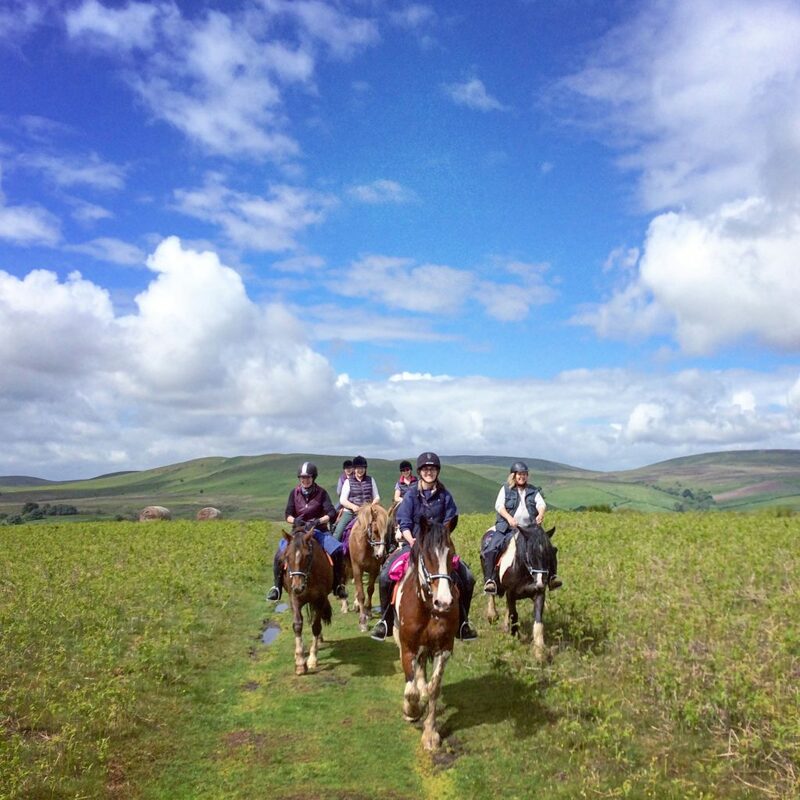 As with all our guided riding holidays there is a maximum of 8 riders when you join a ride on set dates. Your luggage is delivered by road. Each night the horses are turned out a short walk or drive from your overnight stop. This trail stays at small inns or B&B’s on route. Riding holidays through perfect horse country. 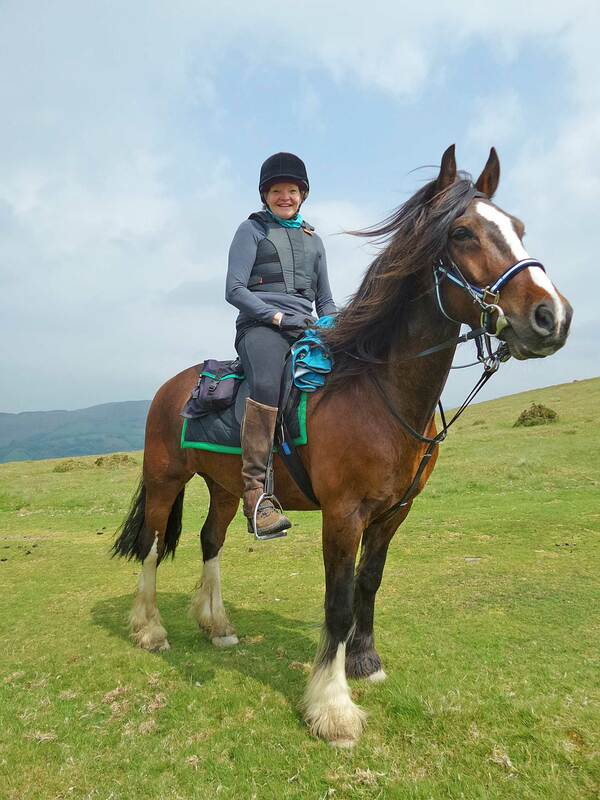 The first part of this trail will be familiar to many riders – the wide cantering tracks across the Begwns leading down through woods above the Wye Valley. The trail to Builth then runs across the Eppynt high above the Wye Valley returning to the river at Builth Wells. You travel the full length of Aberedw Hill on the second day before crossing the valley up onto Llanbedr Hill. From there is a choice of longer or shorter tracks leading eventually to the Roast Ox Inn, Painscastle where you stay the night. Please note that when guided trails stay at the Roast Ox, the horses stay a few miles away. Transfer to and from the horses field is by road. 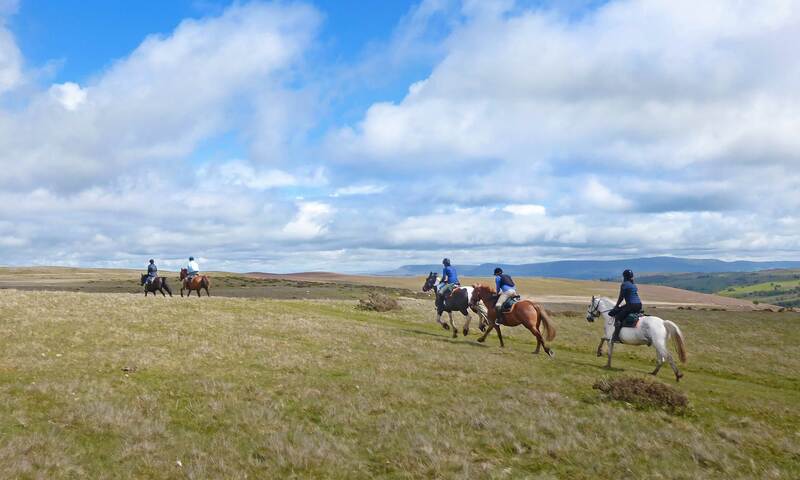 From here head over the famous Hergest Ridge with ideal canter tracks to stay the night in Old Radnor at either Bracken Ridge B&B or the Harp Inn. The ride back to HQ across the heather hills of Glascwm and Llanbedr to Freerein HQ offers a fantastic final day on trail. A varied and exciting four day trail riding holiday with long days and interesting overnight stops. Ideal for frequent guided visitors looking to explore new routes. Meet your fellow riders and guide. Pack saddle bags then meet and prepare your horses. Out on trail all day. Relax for the evening staying in Builth Wells or Penybont. Feed, groom and tack up your horse. Long day, out on trail all day. Relax for the evening at Painscastle. Feed, groom and tack up your horse. Out on trail all day. Pub lunch options. Relax for the evening in the hamlet of Old Radnor. Feed, groom and tack up your horse. Out on trail all day. Return to Freerein HQ 4-5 pm for tea and homemade cake. I loved every minute and recommend this trail to anyone who loves riding. Freerein Toffee loves the camera!